SYDNEY - With almost 1.8 million Australian homes and businesses relying on power from rooftop solar panels, there is a fight brewing over the impact of solar energy on the national electricity grid. Electricity distributors are warning that as solar uptake continues to increase, there is a risk excess solar power could flow into the network, causing blackouts and damaging infrastructure. But is it the network businesses that are actually at risk, as customers turn away from centrally produced electricity? Andrew Dillon of the network industry peak body, Energy Networks Australia (ENA), told 7.30 the way customers are charged for electricity has to change, or expensive upgrades to poles and wires will be needed to keep solar customers on the grid. "The engineering reality is once we get too much solar in a certain space it does start to cause technical issues," he said. "If there is too much energy coming back up the system in the middle of the day, it can cause frequency voltage disturbances in the system, which can lead to transformers tripping off to protect themselves from being damaged and that will cause localised blackouts. "There are pockets of the grid already where we have significant penetration and we are starting to see technical issues." However, he acknowledges that excess solar power has yet to cause any blackouts, or damage electricity infrastructure. "I don't buy that at all," he said. "It can be that in some suburbs or parts of suburbs a high penetration of solar on the point of use can raise voltage, these issues generally can be dealt with quickly. "The critical issue is think where you are getting that perspective from. It is from an industry whose underlying market is threatened by customers doing it for themselves. So, think with some critical insight to these claims." He said when too many people rely on solar it threatens the very business model of the companies that own Australia's poles and wires. "When the customers use the network less to buy centrally produced electricity, they ship less product," he said. "When they ship less product, their underlying business is undermined, they need to charge more to the customers left and that leads to what has been called a death spiral. "We are seeing rapid reductions in consumption at the point of use per household." But Mr Dillon denies the distributors are acting out of self-interest. "I absolutely reject that claim," he said. "[What] we, as networks, have an interest in is running a safe network, running a reliable network, enabling the transition to a low carbon future and doing all that while keeping costs down as much as possible." Around Australia the poles and wires companies can decide which solar systems can connect to the grid. Small systems can connect automatically, but in some areas, those wanting a larger system can find themselves caught up in red tape. 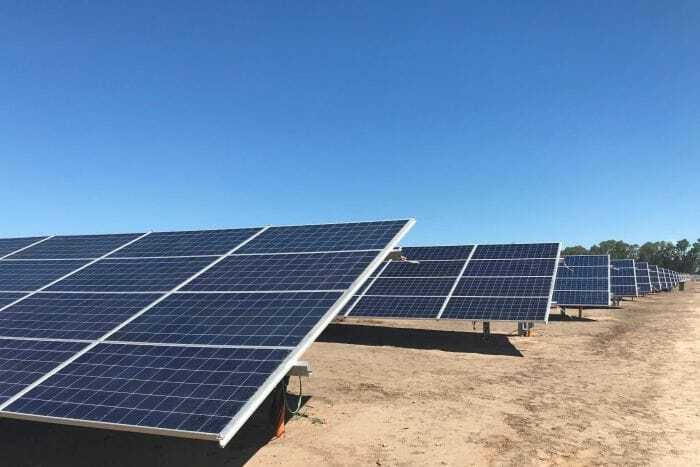 The vice-president of the Australian Solar Council, Glen Morris, said these limitations were holding back solar installation businesses and preventing the take-up of new battery storage technology. "If you've already got a five kilowatt system, your house is full as far as the network is concerned," Mr Morris said. "You go to add a battery, that's another five kilowatts and so they say no you're already full … so you can't add storage to your solar system." Mr Morris also said the networks had the capacity to solve the problem of any excess solar flows into the grid, and infrastructure upgrades were not necessary. "They already have the capability to turn off your solar invertor whenever they feel like it," he said. "If they choose to connect that functionality, it's there in the inverter. The customer already has it." ENA has acknowledged there is frustration with rooftop system size limits in the solar industry. "What we are seeing is solar installers and others slightly frustrated at different requirements for different networks and sometimes they are unclear on the reasons for that," Mr Dillon said. "Limitations are in place across the country to make sure the network stays safe and we don't have sudden rushes of people connecting to the grid that causes outage issues." But Mr Mountain is unconvinced, calling the limitations "somewhat spurious". "The published, documented, critically reviewed analyses are few and far between, so it is very easy for engineers to make these arguments and those in policy circles only have so much tolerance for the detail," he said.